On Saturday, the Final Four will be played. And on Monday, the championship game will be played. What are we talking about? College basketball, the NCAA Tournament, March Madness. Jay’s guest is his young National Review colleague Theodore Kupfer (“Teddy K.”), who is a philosophy grad, steeped in sports. Jay and Teddy talk about the current tournament and also about larger issues: How corrupt is college basketball? Should athletes be paid? Are announcers any good? Can something be done about the often-interminable last few minutes of a game? Enjoy the analysis of a whiz kid, Theodore Kupfer. Michael Breen is one of our best Korea-watchers — one of our best Korea analysts, one of our best authorities. He is a journalist, consultant, and book-author. With Jay, he talks about the Olympics just past. He talks about the North Korean charm offensive, if charm it was. He talks about upcoming summits. And the Kim family, that dictatorial dynasty. And the politics of reunification. And more. The Korean Peninsula is once more a flashpoint. We need expertise on it, and have it. In New York, the Human Rights Foundation hosted “PutinCon” – a conference dedicated to telling the truth about Putin and his Russia. Jay caught up with Bill Browder and Vladimir Kara-Murza. The former is the financier who has spearheaded “Magnitsky acts”; the latter is the Russian democracy leader who, twice, has survived poison attacks. Jay talks with them about the latest poison attacks in Britain, the sham of a Russian election on Sunday, and more. Hendrik Meijer is the author of a new biography of Arthur Vandenberg, the Michigan senator who led the isolationist wing before World War II and became a key internationalist thereafter. Meijer, too, is a Michigan man. In addition to being a biographer and writer, he is the executive chairman of Meijer, Inc., the chain of stores founded by his grandfather, also named Hendrik Meijer. Poland has adopted a controversial new law, making it a crime to say some things about Poland and World War II. Radek Sikorski is well positioned to talk about this: He is a veteran writer and politician. He has served as both foreign minister and defense minister of Poland. Jay also asks him about Europe in general: Are authoritarian winds blowing? What does Anglo-American conservatism have in common with Continental rightism? If “mainstream” parties won’t tackle immigration and other combustible issues, someone will, true? Pressing questions, addressed by one of the best, Radek Sikorski. Alston Ramsay is an old National Review hand, and an old Bill Buckley hand. He went on to work for Secretary Robert Gates, General David Petraeus, and others. Now he is in Hollywood, writing movies. Just coming out is “Midnighters,” directed by Julius Ramsay, Alston’s older brother. With Jay, Alston talks about the movie and many other subjects — including basketball, about which Alston is passionate. He is a UNC Tar Heel, but Jay pretends to think he is a Duke Blue Devil, because, for those outside North Carolina, it’s all the same. Nicholas Burns is one of the leading U.S. diplomats of our time. For nearly 30 years, he served in the government, in a variety of posts: ambassador to NATO, for example. He had major responsibility for the Arab world, Iran, Russia, etc. Today, he teaches at the Kennedy School of Government at Harvard, which is where Jay sat down with him. They talk over the world: North Korea and South Korea; Iran and its nuclear program; the Israel-Palestine question; Putin’s Kremlin; NATO and defense spending; and more. It’s an hour-long tutorial with one of the best. And, as Jay remarks at the end, free of charge. Riccardo Muti has arrived in New York for two concerts with his Chicago Symphony Orchestra at Carnegie Hall. Taking advantage, Jay has recorded a “Q&A” with him on a variety of subjects: musical, personal, and social. Muti is one of the leading conductors of our day, having studied with Antonino Votto, a lieutenant of Toscanini. He was also nurtured by Nino Rota, known to many of us as the composer of the “Godfather” music. Lawrence Brownlee is one of the leading tenors of our time. He has sung on opera and recital stages all over the world. Tomorrow night, he will sing in Chicago, wearing the same boots that Pavarotti once wore (in Bellini’s “Puritani”). Ioan Grillo is a British journalist long resident in Mexico. He gets into the nitty-gritty – and the bloody. He is the author, most recently, of Gangster Warlords: Drug Dollars, Killing Fields and the New Politics of Latin America. Jay talks with him in a Mexico City park (with birds chirping all about, and at least one helicopter overhead). They talk about Mexico, the rule of law, bad guys, good guys, the USA, Trump, and more. Jay gets Grillo to describe at least one narrow escape. He is a gutsy journalist, and an excellent talker. Charlie Dent is a longtime congressman from Pennsylvania. He is a Republican, born and raised in Allentown. Billy Joel wrote a song about the town. With Jay, Congressman Dent talks about that and much else. He talks about what it’s like to be a politician, what it’s like to be a congressman, what it’s like to be a Republican in the Age of Trump. A very interesting and candid conversation. Marina Nemat is an Iranian dissident, a former political prisoner, and now an exile. She is the author of the blockbuster memoir “Prisoner of Tehran.” She and Jay have known each other for some years, through human-rights circles. In this “Q&A,” Jay asks her about the protests going on in Iran: what they mean, for the protesters, the regime, and Iran as a whole. She is a brainy, articulate woman who speaks with great passion – and from painful experience. With Jay, he talks about those terms, “Right” and “Left.” He talks about how he himself became a conservative. About the teachers who influenced him. He talks taxes, health care, etc. Jay asks him about his favorite Founders. And favorite presidents. 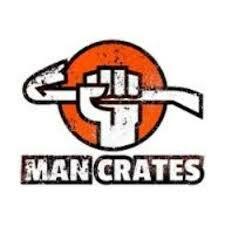 Also about his pastimes. Ash Carter is a physicist and a defense-policy expert, having served in government periodically for decades. He was secretary of defense from 2015 to 2017. He has spent his academic career at Harvard, where he is today. 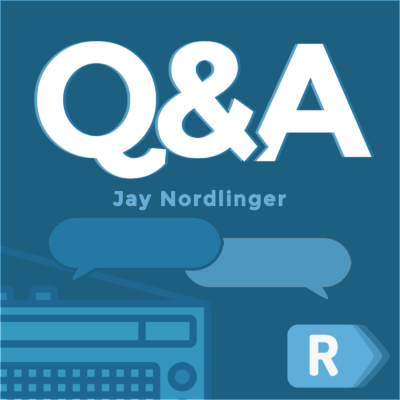 In this “Q&A,” Jay asks him about some of the biggest issues: nuclear proliferation, North Korea, Iran, the size of the U.S. military. He also asks about the relation between our servicemen and the general American population. Is there too great a gulf between them? Do people sentimentalize our military? Is it okay to say “Thank you for your service”? Carter is an exceptionally thoughtful person with a wealth of experience. Victor Davis Hanson’s new book is “The Second World Wars: How the First Global Conflict Was Fought and Won.” Jay asks him a slew of questions, including: What caused the war? Was Hitler dumb to declare war on America? Was Japan dumb to attack America? How was FDR as wartime leader? And Truman? Were we right to drop the A-bomb(s)? Was Yalta a crime, committed by the West? Is the Holocaust separable from the war? Who are some unsung heroes of the conflict? VDH knows the answers — backwards and forwards. An education and a pleasure. Anne Applebaum is a historian and journalist, a columnist for the Washington Post. She is a particular expert on the former Soviet Union and its bloc. Her latest book is “Red Famine: Stalin’s War on Ukraine.” With Jay, she discusses this book: the “terror-famine” that killed so many Ukrainians. She also discusses contemporary issues, such as the war going on in eastern Ukraine. A lady who knows a lot, and says it with confidence – a well-earned confidence.